← is it possible The Imaam Didn’t Know A Hadith? Imam Ahmad ibn Hanbal (164-241 AH) was one of those rightly guided imams who lived in the earlier Hijri centuries. Those imams were role models for people. They displayed piety, superior moral values, and sincere adherence to the Sunnah of Prophet Muhammad (peace and blessings be upon him). Hence, people developed confidence in those imams’ sound approach and sincere application of religion. Those rightly guided imams would give impressive courses of lectures in the mosques where seekers of knowledge would attend in great numbers to listen to an interpretation of some verse, ask for explanation of a hadith, or seek a fatwa. People would hold those imams in the highest esteem and model themselves after their guidance so that they may be rescued in the Hereafter. Born in Rabi` Awwal AH 164 (November 780 CE), Imam Ahmad belongs a noble house of Bani Shayban in Baghdad. His father passed away before his birth. His mother took care of him and brought him up in the most proper manner. She was keen that he learns the different disciplines of knowledge prevalent at that time. So, he memorized the Noble Qur’an and applied himself enthusiastically to the knowledge of Hadith. He would get up at dawn to be the first student to attend the knowledge circle of his sheikh. During his teens, he joined the circle of Abu Yusuf, a disciple of Imam Abu Hanifah and the first person to hold the post of Chief Judge. His circle was unspeakably splendid. It attracted seekers of knowledge, scholars, as well as judges of different classes and ranks. Imam Ahmad attended this circle for four years. He recorded in writing all what he learned there, which formed a great amount of papers. He also used to attend the circle of Imam Hasheem ibn Basheer As-Solamy, the grand scholar of Hadith in Baghdad. Moreover, whenever he heard that a knowledgeable scholar came to Baghdad, he would seek to acquire knowledge from him. In this regard, he learned from the great scholars Na`eem ibn Hammad, Abdul-Rahman ibn Mahdi, and `Umayr ibn Abdullah ibn Khaled. Seekers of knowledge at the time were known for their journeys in the pursuit of religious knowledge, especially Hadith. Regardless of the high cost and distance of this kind of journeys, seekers of knowledge would travel throughout the Muslim World where the eminent jurists and scholars of Hadith live to acquire knowledge. 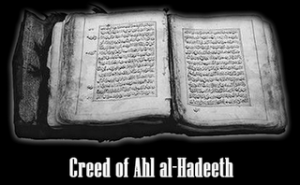 Imam Ahmad commenced his blessed journey in the pursuit of Hadith in AH 186 (802 CE) at the age of 22. He went to Basra, Koufa, Ar-Riqqa, Yemen, and Al-Hijaz (i.e., Makkah and Madinah) where he met a number of prominent and great scholars and jurists of the Ummah, such as Yahya ibn Sa`id Al-Qattan, Abu Dawud At-Tayalisi, Waki` ibn Al-Jarraah, Abu Mu`awiyah Ad-Darir, Sufyan ibn `Uyainah, and Ash-Shafe`i. He dedicated himself to studying at the hands of Ash-Shafe`i for a period of time, during which he learned fiqh (Islamic jurisprudence) and its principles. He was such a devout seeker of knowledge that Imam Ash-Shafe`i said about him that there was no one in Baghdad that was more knowledgeable in religion and skillful in memorizing hadiths than Imam Ahmad. His great passion for seeking Hadith made him bear every difficulty willingly. Despite his great knowledge and high status among eminent scholars, he proceeded to seek knowledge from others. Though his sheikhs and colleagues attested to the ample knowledge he possessed, he did not feel embarrassed at all to sit among students to receive knowledge from others. It is worth noting that Imam Ahmad took the seat of teaching and issuing fatwa in Baghdad in AH 204 (819 CE), which was the same year Imam Ash-Shafe`i died. Imam Ahmad was thus a great successor to an eminent predecessor. He used to have two knowledge-imparting circles: a special one at his home for his keen students and a general one in the mosque following the `Asr Prayer for ordinary people and knowledge-seekers in general. Imam Ahmad would deal heartily with his students and would describe their inkwells with which they recorded what he imparted to them of hadiths as the lambs of Islam. Furthermore, he was so honest and meticulous in reporting hadiths that he never reported a hadith unless it was from a written source, though he was highly noted for his sharp memory. It is also worth mentioning that Imam Ahmad memorized about million narrations from the Companions and Tab`in (first generation after Prophet Muhammad). A number of keen students who studied at Imam Ahmad’s circles for a good and long time spread his knowledge and jurisprudence everywhere. Most eminent among them was Abu Bakr Al-Maruzy, who was close to the imam and most liked by him on account of his knowledge, superior morality, truthfulness, and integrity. Imam Ahmad said about him, “Whatever he [Al-Maruzy] reports me as saying is truly said by me.” Also, among the students of Imam Ahmad were Abu Bakr Al-Athram, Ishaq ibn Mansur At-Tamimi, Ibrahim ibn Ishaq Al-Harbi, Al-Bukhari, Muslim, Abu Dawud, and Baqi ibn Makhlad. Imam Ahmad did not record his juristic fatwas, nor did he compile a book on jurisprudence or assign such a job to any of his students. He disliked that any of his fatwas be written. This remained the case until Abu Bakr Al-Khallal, a student of Al-Maruzy undertook the responsibility of compiling the Hanbali fiqh. Al-Khallal traveled to various places in search of the juristic opinions and fatwas issued by Imam Ahmad. 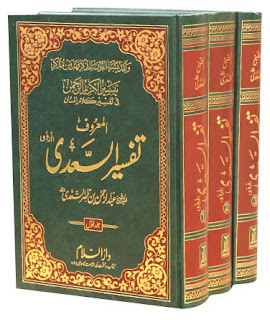 He gathered such a huge number of fatwas that he compiled a book of about 20 volumes entitled Al-Jami` Al-Kabir. He later held a circle in Al-Mahdi mosque in Baghdad to teach this book to his students. Out of this knowledge-imparting circle, the written jurisprudence of the Hanbali school of thought spread after it was no more than scattered narrations. Afterwards, Abu Al-Qasim Al-Khiraqi summarized the book compiled by Al-Khallal in a book entitled Mukhtasar Al-Khiraqi (Al-Khiraqi’s Compendium). This book found favor with people and captured the attention of the Hanbali jurists, who wrote more than 300 books wherein explaining Al-Khiraqi’s book and commenting on it. The best and most well-known book among those 300 was Al-Mughni written by Ibn Qudamah Al-Maqdesi. Later, Imam Abdus-Salam ibn Abdullah, the grandfather of Imam Ibn Taymiyah, reviewed Imam Ahmad’s fatwas and wrote a book entitled Al-Muharir (The Freer) on jurisprudence. After that, many other books were written on Imam Ahmad’s fatwas, and these books circulated among people. The Hanbali School was the most flexible school of thought with regard to freedom of transaction. It is worth noting that the Hanbali school was the most flexible school of thought with regard to freedom of transaction and the conditions thereby the contracting parties shall be required to abide. Imam Ahmad held the opinion that the basic rule is that transactions among people are, in principle, permissible unless proved otherwise by a legal proof. Imam Ahmad faced a serious trial that he bore steadfastly. He refused to make any concessions in the process. The trial began when Caliph Al-Ma’moun declared in AH 218 (833 CE) his call to consider the Qur’an a creature like all creatures. Many jurists were forced under torture to agree. But Ahmad and Muhammad ibn Noah refused to succumb. As a consequence, they were fettered and sent to Baghdad to stand before Caliph Al-Ma’moun. While they were on their way to him, the caliph passed away, so they were returned to Baghdad fettered. Imam Ahmad acted upon his companion’s advice and stood up for his beliefs. He was imprisoned for more than two years. Then he was carried to Caliph Al-Mu`tasim, who followed in the footsteps of his late brother, Al-Ma’moun. With the persistent attempts by the caliph to win him over, the imam would get more determined. When despair seized them, they hang him from the heels. They would whip him without the least prick of conscience that they were whipping an innocent and guiltless individual, let alone that he was a pious scholar whom people take as a role model. They showed no mercy in lashing his infirm body with turns of their harsh whips. He fainted as a result of the flogging and was released and returned home. During the era of Caliph Al-Wathiq (AH 227–232 [841–847 CE]), Imam Ahmad was forbidden to address people in a gathering. He was allowed to go out only for prayer. Circumstances changed, however, when Al-Mutawakkil assumed the Caliphate. He banned the opinion saying that the Qur’an is a creature and restored to Imam Ahmad his esteem and status. Upon that, Imam Ahmad resumed his teaching circles in the mosque. 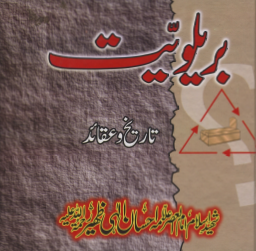 Al-Musnad (The Authenticated) is the most prominent book among his writings. It is the biggest record of the Prophet’s Sunnah as it includes about 40 thousand hadiths out of 750 thousand hadiths that Imam Ahmad had knowledge about. Imam Ahmad began writing this book after the age of 36. Az-Zuhd (Arabic for Asceticism) tackles the hadiths and narrations on the subject of asceticism. As-Sunnah (Arabic for Sunnah) handles the hadiths on matters of belief. Al-Wara` wa Al-Iman (Arabic for Piety and Faith) focuses on the hadiths and narrations tackling piety and awareness of Almighty Allah. Al-Masa’il (Arabic for Problems) is in fact a book compiled by some students of Imam Ahmad and two of his sons. It is in the form of questions and answers about juristic issues, matters of belief, chains of narrators, and hadiths and their explanations. Fada’il As-Sahabah (Arabic for Virtues of the Companions) contains almost 2000 narrations about the virtues of the Prophet’s Companions. All these books are published and widely read. After a life full of great achievements, Imam Ahmad passed away in Rabi` Thani 12, AH 241 (August 30, 855 CE) at the age of 77. He was buried in Baghdad.